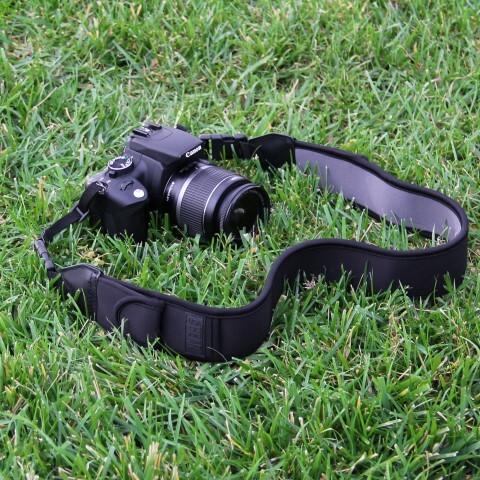 This premium padded USA Gear Neoprene camera strap is the ultimate accessory for carrying anything from micro four thirds to your favorite DSLR. 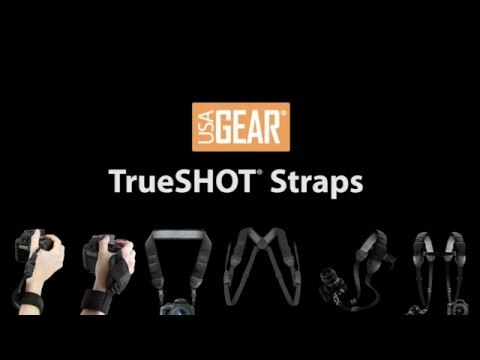 Incorporating comfort and strength , the strap allows you to carry the heaviest cameras on the market without causing any discomfort. 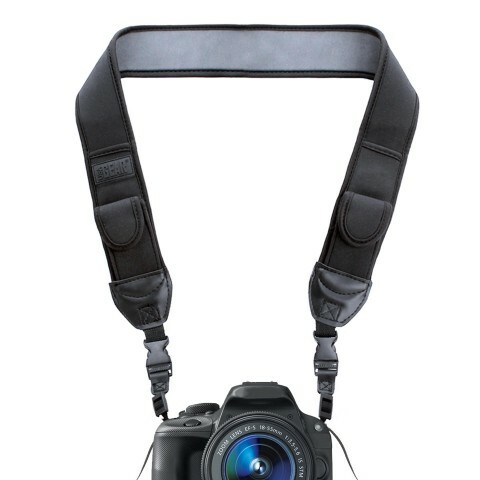 Never has it been easier to lug around your camera on an all day photo shoot or hiking adventure! 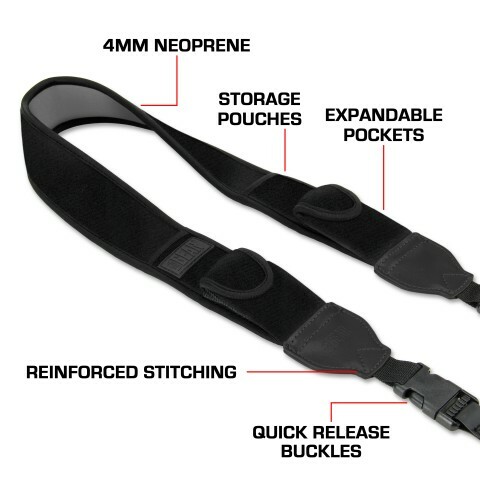 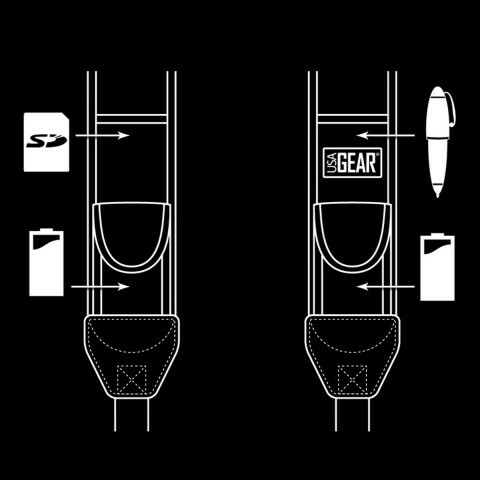 Featuring a patented internal stretch control system , this strap adds the support you need while effectively distributing weight across both shoulders. 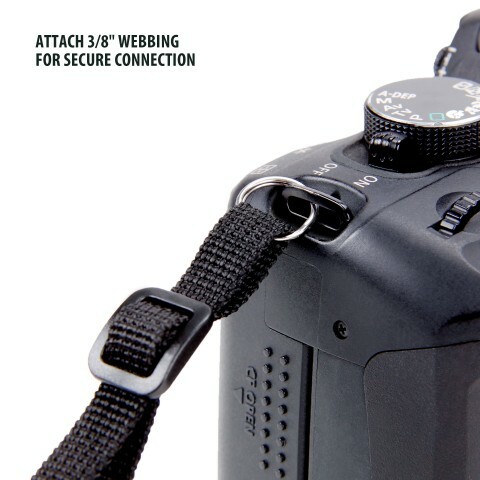 Using two 3/8' connection loops , it's easier than ever to attach your camera. 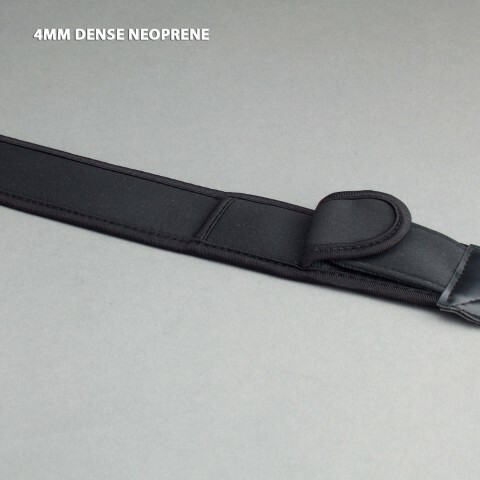 And to really sweeten the pot , the strap was designed with a quick disconnect point on either side to make removal easy and convenient. 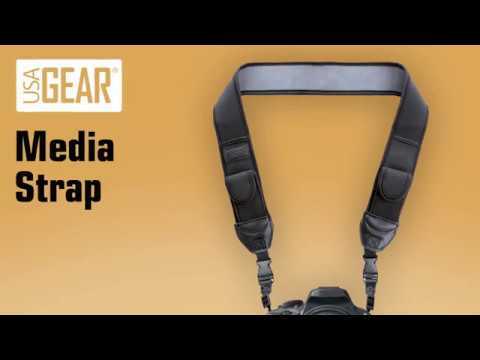 Delivering on our promise that the USA Gear Media Strap is the all-in-one solution for all your camera needs , we couldn't forget to mention the multiple storage pockets built right in! 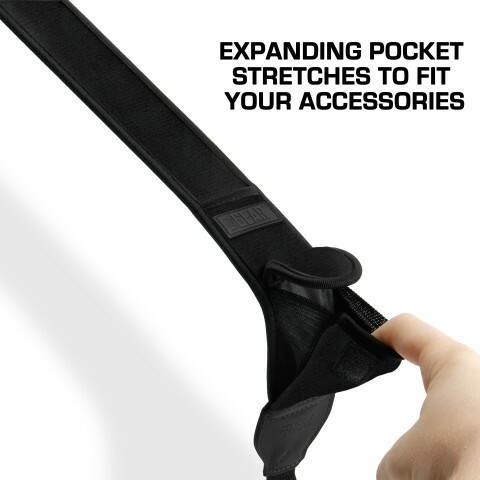 Each pocket has a flexible neoprene design that expands to fit spare batteries , memory cards , pens and more. 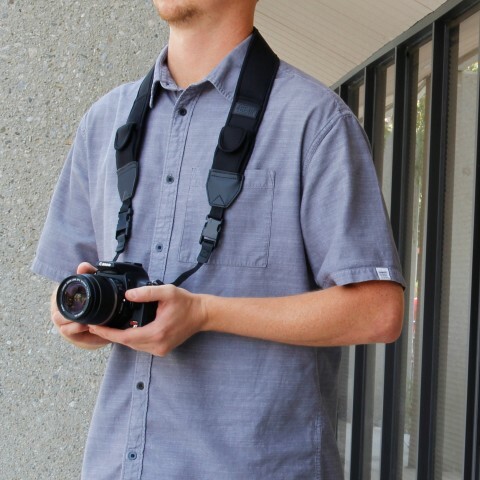 Ditch the heavy camera bag. 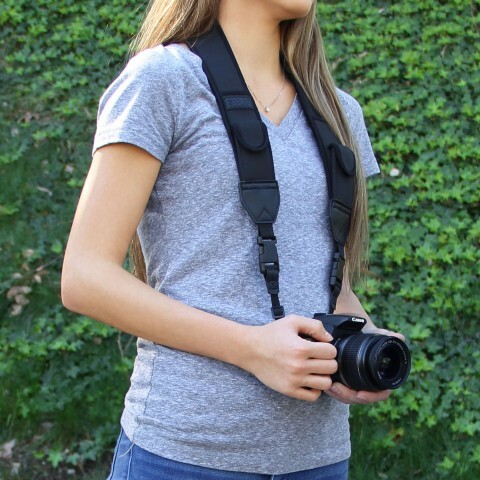 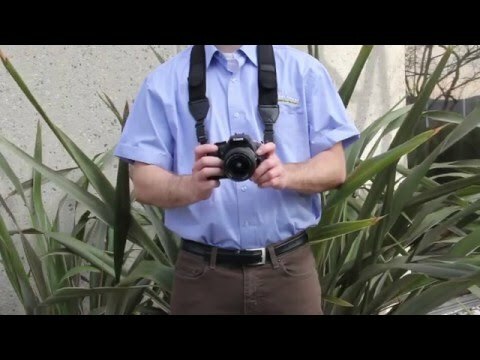 Enjoy a strap built to carry your camera and its accessories.